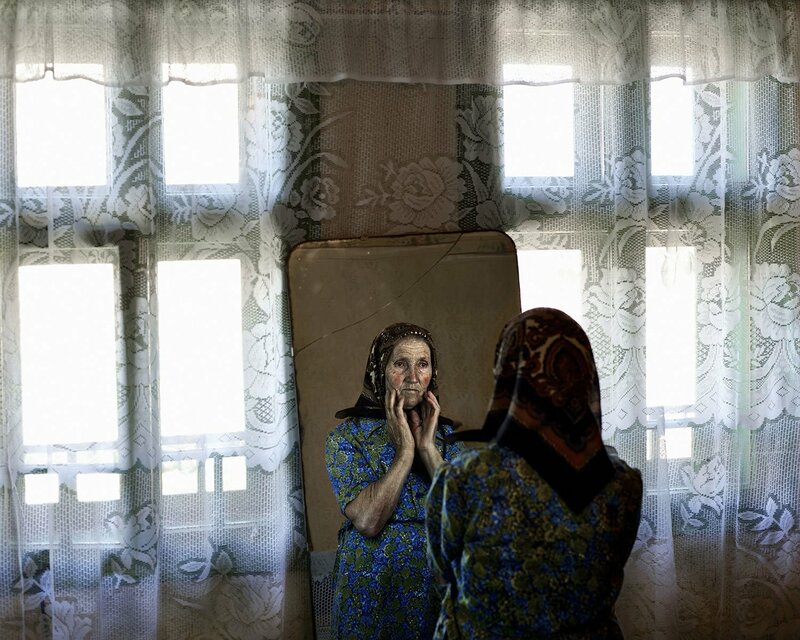 In one photograph, Anastasia, wearing a blue-green flowery dress and brown patterned headscarf, stares at her reddened, wrinkled reflection in a cracked mirror in a room with lace curtains. In another, the minuscule figure of a man can be discerned, standing beneath a suspended staircase amid the ruins of a building being swallowed by nature. The caption reads “Scrap Metal Collector near Hunedoara, western Romania, 2011”. If you run an internet search on the Romanian town of Hunedoara, you will be confronted with images of a Gothic castle and a quaint, glittering city. 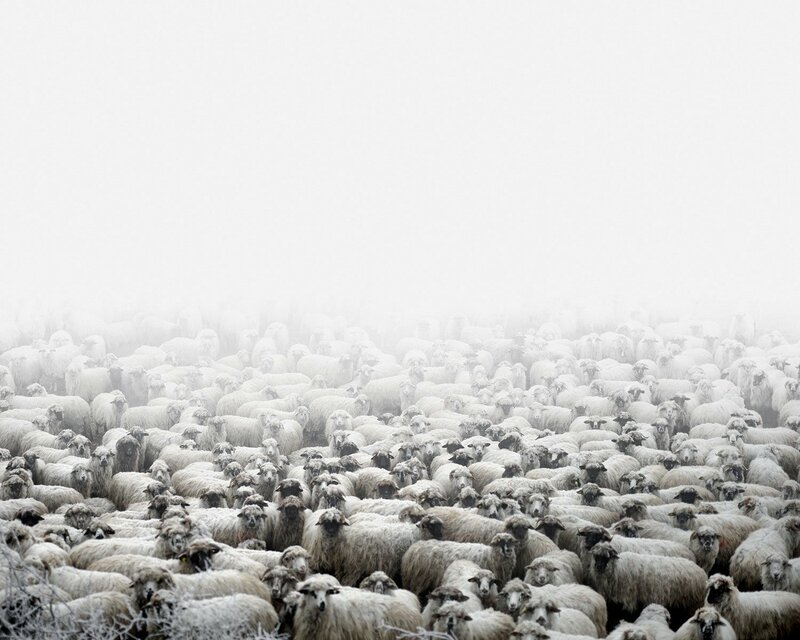 But for Hungarian photographer Tamas Dezso (b. 1978, Budapest), the important stories are of the forgotten lives fading on the fringes. 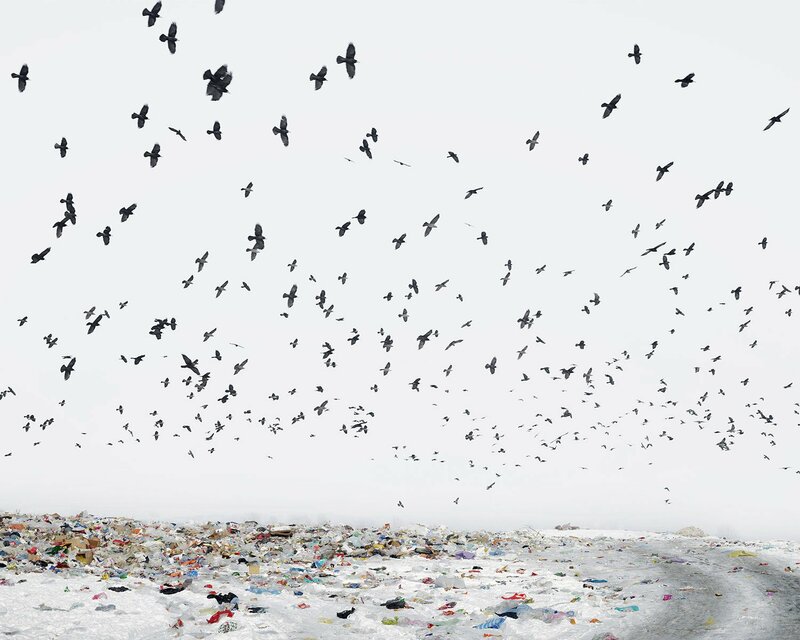 The winner of prestigious awards including Hungary’s Photographer of the Year (2005, 2006) and the World Press Photo Award for Daily Life (2006), Dezso trains his lens on a crisis that has been decades in the making. Hunedoara epitomises a fate shared by many towns in Romania. Once known for its iron and steel production — especially during the Soviet occupation, which was characterised by rapid enforced industrialisation — Hunedoara later faced job losses and factory closures when the Communist regime fell. While it is now on the road to revival due to new investment, those living on the outskirts are left to fend for themselves, often on contaminated land on which they depend for their livelihoods. 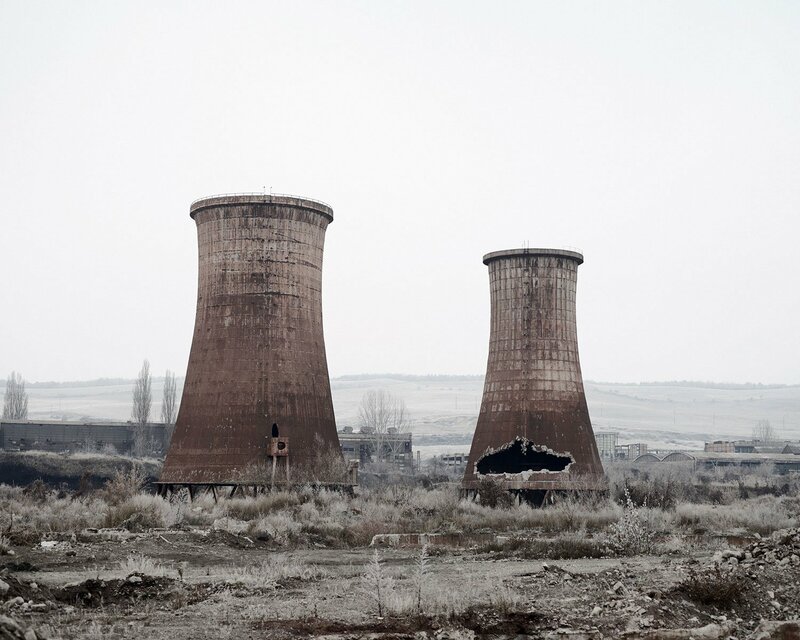 Towns like Geamăna, Anina, Lupeni, Suceava and Ocna Mureș in Romania, and Székesfehérvár and Salgótarján in Hungary, have similar histories of industrial exploitation followed by abandonment and environmental degradation. 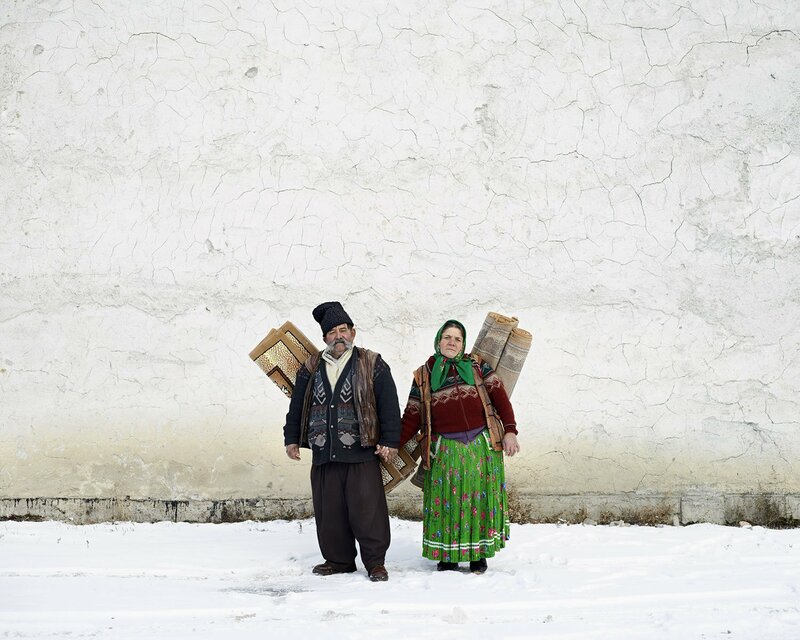 Dezso’s images give us a glimpse into the lives of people in Romania and Hungary who still call these places home. They get by collecting scrap metal and bricks, selling carpets, farming, herding sheep. 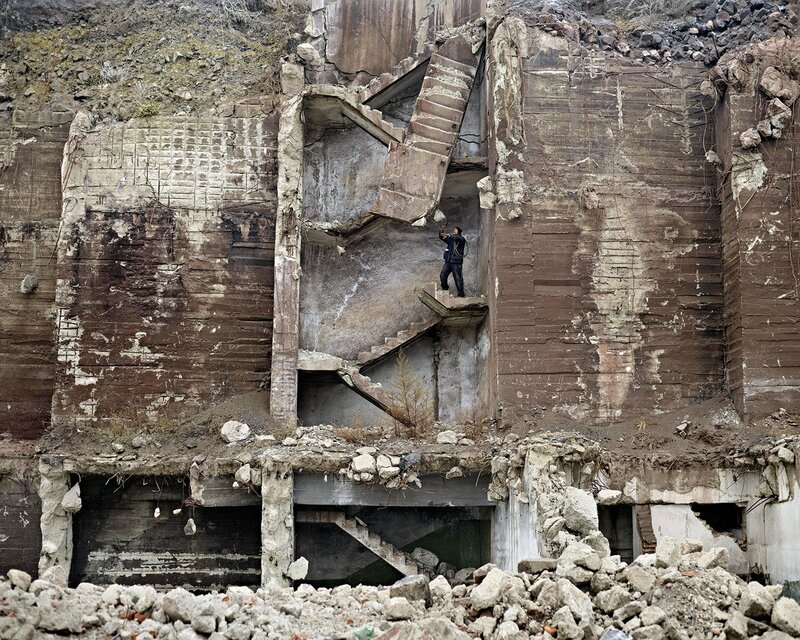 Isolated and forgotten by their governments, they carve out an existence amid the toxic ruins of factories and mines. 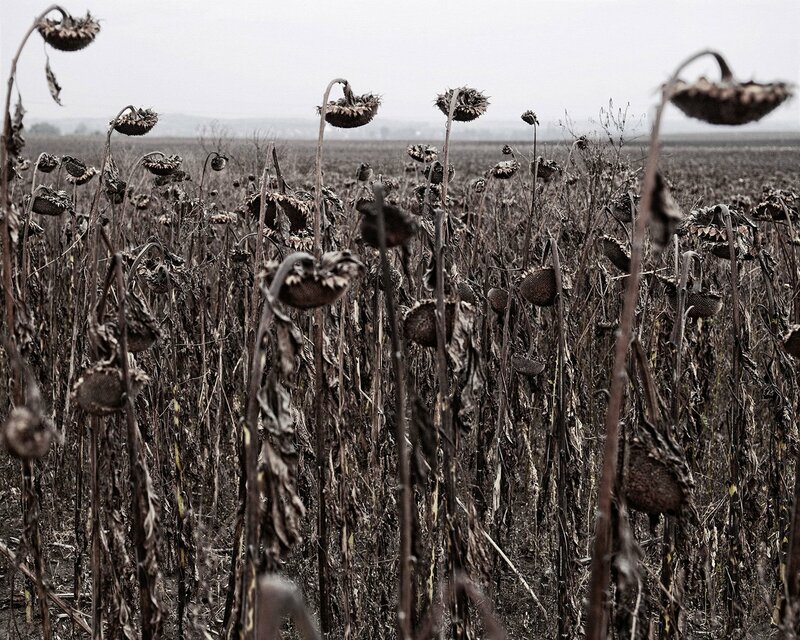 Beginning his career as a press photographer, Tamas Dezso stepped back from photojournalism in 2009 and began the two photographic series that he is today best known for: Here, Anywhere in Hungary, and Notes for an Epilogue in Romania. The documentary aspect of his earlier work still lingers, but in these series he selects landscapes and portraits that fit into a larger story, imbued with the almost perverse idea that beauty and hardship sometimes coexist. Both series trace the painful transition of these two neighbouring countries from communism to democracy and the consequences of the instability that resulted. Dezso has spoken of the period as an “awkward democratisation” that has not taken into account the “unprocessed past”. He focusses especially on people and places that haven’t changed for the better, and are not a priority, remaining suspended in time. His stated aim in these series was to “render a world which may disappear forever imperceptibly and very rapidly due to the transitional nature of the era”. 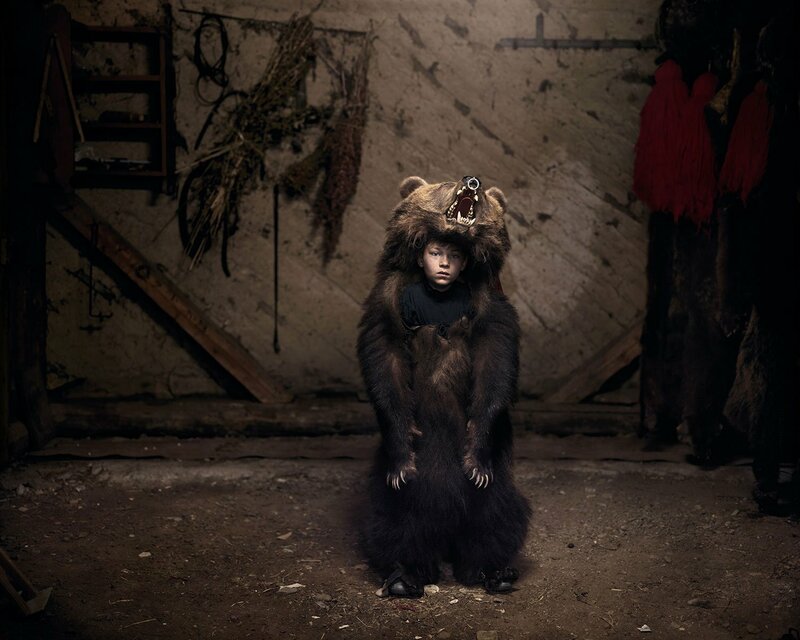 The desire of the inhabitants of these villages to keep their communities together and traditions such as bear dancing alive despite hardship suggests an outlook of resilience rather than pessimism. These traditions are not about living in the past or being unable to adapt to advancement; they instead assert the present, holding on to the little that is still theirs. The photographer as memory-maker helps prevent their identity from falling into oblivion. In Romania, Dezso is an onlooker, travelling to the edges of society in search of stories but not taking a political position owing to his status as an outsider. In his native Hungary, however, he has seen first-hand the policies and actions that have caused effects such as impoverishment and the rise of neo-Nazism in many parts of the country. 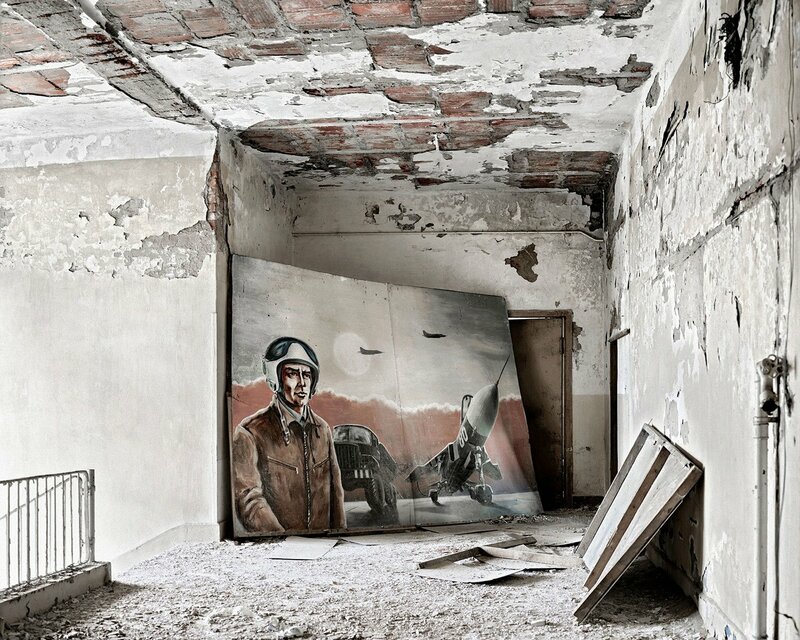 In the journey from Here, Anywhere to Notes for an Epilogue, Dezso’s style matures and finds its voice, moving from places representing dereliction, such as Soviet bases, to a more poetic stance that uses metaphor, symbols and stories to depict larger systemic failures. A large herd of sheep gently fading into fog; fields of brown, dried sunflowers as far as the eye can see; hundreds of crows scavenging on a colourful dump; a choir of men in identical jackets and boots hiking up a slope in a neat line — life today, where tomorrow there may not be. 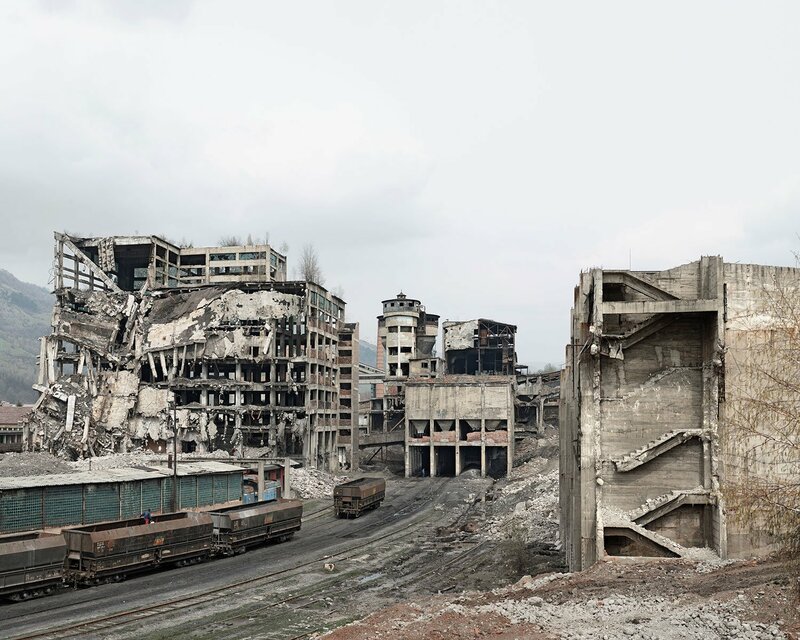 In the practically unknown, toxic ghost town of Geamăna, Dezso goes in search of the last two people who live there. As the years pass, Ana and Victor Praţa keep moving their house higher and higher to escape the constantly rising contaminated lake. Above all, what Dezso photographs are stories of survival. Both series are about time, about inevitable endings, about what is fading — but also what is yet to fade. Every artist chooses his angle, and Dezso has made his choice. Without hiding the harshness, with backgrounds of cold whites and greys, his photos are nonetheless a tribute to the people as they attempt not to wither away. The aesthetic of dereliction is balanced by brighter splashes of life: ruddy, lined faces; the warm-hued interiors of homes; migrants with colourful belongings slung across their backs. Sooner or later, these people and places will surrender to forces larger than them. Eventually — but not yet.